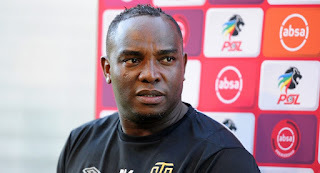 Cape Town City coach, Benni McCarthy has thrown in the towel on winning the PSL title. Cape Town City coach Benni McCarthy believes his side have no chance of bagging the Absa Premiership title. Benni's army is currently sitting on the fourth position on the log and they are four points behind log leaders, Orlando Pirates. The past weekend, The Cape Town based outfit suffered a 1-0 loss to Golden Arrows. With five games of the season remaining, McCarthy’s team are still very much in the hunt but the former Bafana Bafana striker feels they can only finish between second and fourth place. McCarthy said after the defeat against Arrows: “Any coach would love to finish in first position but the reality is that we are out of it, we can only finish between second and fourth position.